I met this sweet little guy in the morning in my garden when I was having a cup of tea. 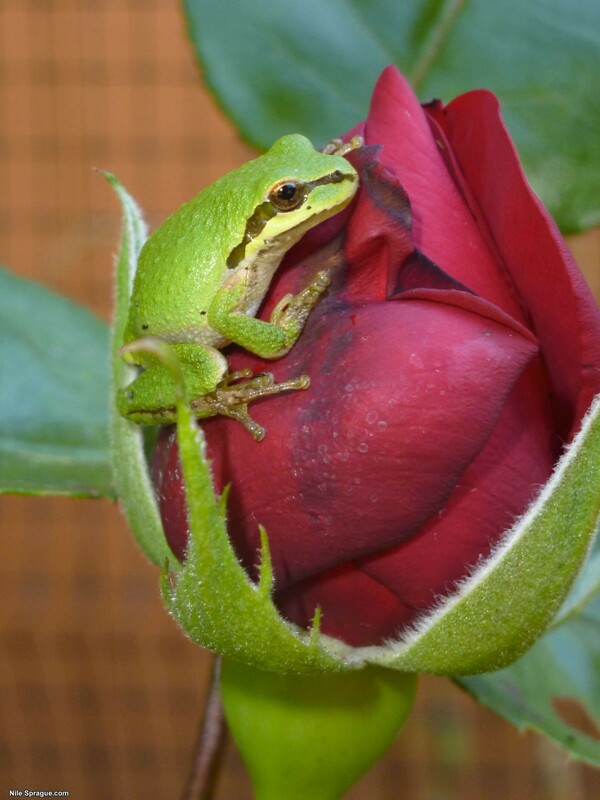 He was perched on top of this beautiful rose bud, and stayed very still and calm as I ran inside to get my camera. He didn’t budge, even as I brought my camera very close to get this fantastic detail shot. Lovely picture. As you said, it’s a fantastic shot!